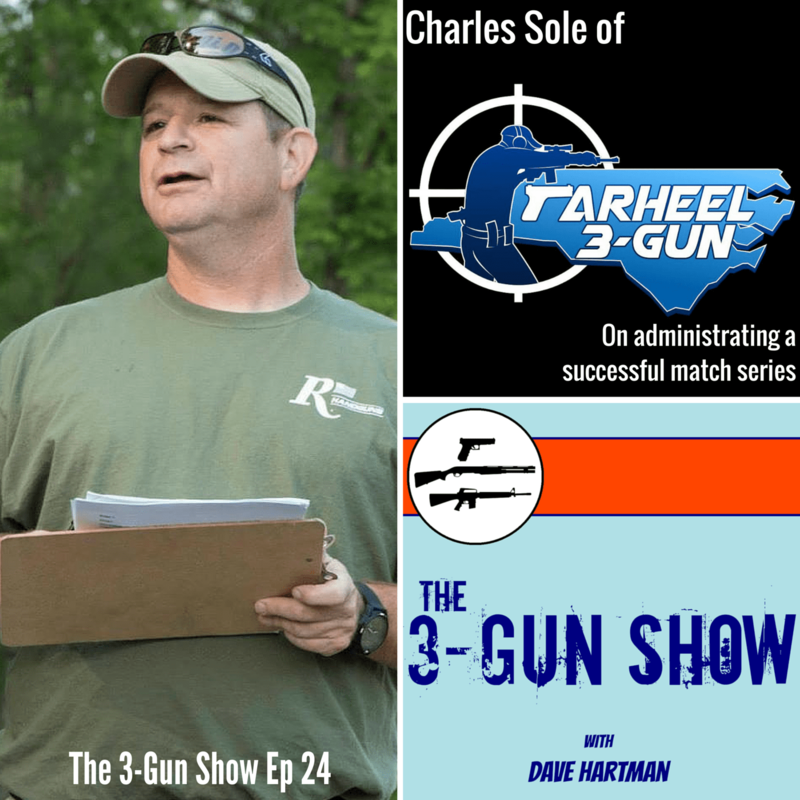 Charles “The Rainmaker” Sole of Tarheel 3-Gun took a break from setting up the War Sport Team Challenge to be our featured guest on the 3-Gun Show and we discuss the difficulty of getting ranges to give you access for a match, designing and setting up each match and how to deal with sponsors at the pro level. As a special bonus, Charles comes BACK on after the War Sport Team Challenge amidst a huge social media buzz to talk about the success of the match and the future of the team format. What demographic is growing quickest in the sport. Hint: It’s not old white dudes. A big thanks to Charles for taking the time out to be a guest on The 3-Gun Show!